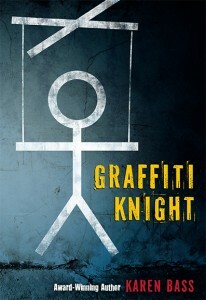 On Friday, August 22nd at 11 am, one hundred plaques were unveiled across Canada. 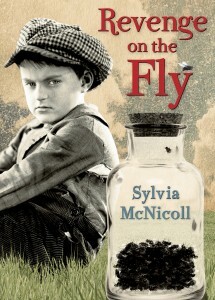 They commemorated Canada’s enemy alien internment operations in the First World War, a little-known part of our history that saw Canadian citizens imprisoned in camps across the country because they had immigrated here from nations with which the British Empire was now at war. In 1914, one hundred of these “Turks”—really Alevi Kurds—were rounded up in Brantford, Ontario, on the charge of having plotted to destroy the post office. Although the charge was proven to be false, they were sent to the wilderness of Kapuskasing to build and then occupy a prison camp there. At Friday’s ceremony, hosted by the Ukrainian Catholic Church of St. John, Ukrainians came together with Armenians, Kurds, dignitaries, and supporters of Marsha Forchuk Skrypuch, who put together many pieces of this history while researching her newest novel, Dance of the Banished. 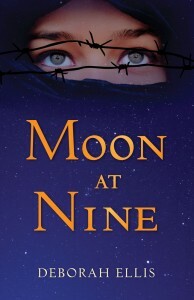 This young adult historical novel tells the stories of two Alevi teenagers in the First World War: Ali, who comes to Brantford to work and is interned in Kapuskasing, and his fiancée Zeynep, who is left behind in their homeland of Anatolia where she helps other Alevi Kurds rescue 40,000 of their Armenian neighbours from the Armenian Genocide. 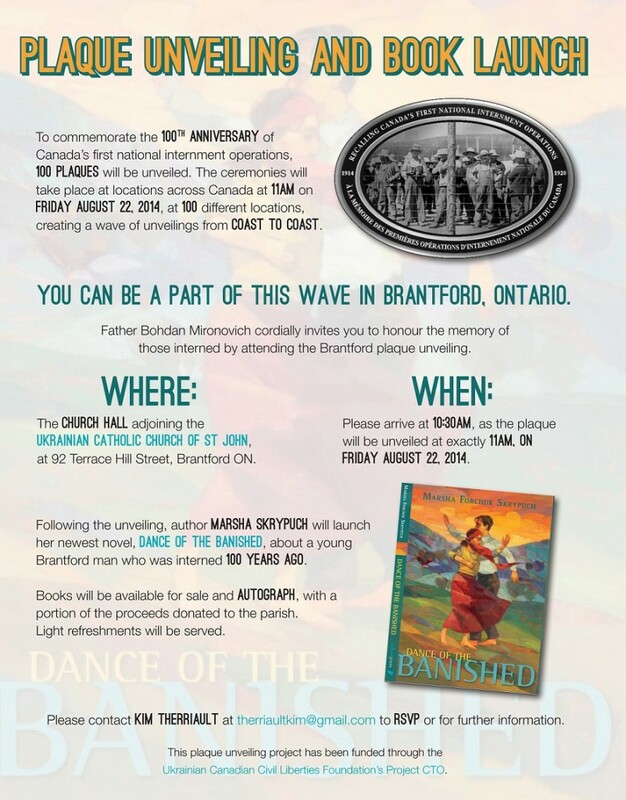 A launch was held for Dance of the Banished following the plaque unveiling. 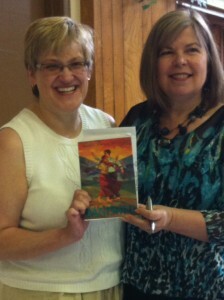 Below, reviewer Helen Kubiw of CanLit for LittleCanadians (left) poses with the author and a signed copy of the book. 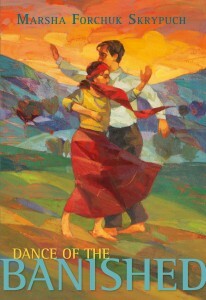 For more information about Dance of the Banished, visit the following links. 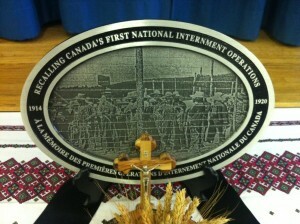 For more information about the recognition of Canada’s internment operations, visit the links below.